Fashion seems to evolve every now and then. There are many trends in the jewellery too and when it comes to rings then there is certainly no lack of options. These rings are for different occasions like wedding engagement or they may be used just for fashion. What do you visualise when it comes to rings? What else then metals and diamonds. But could you fantasize a wooden ring. Yes, a beautiful, unique, perfect for the occasion wooden ring. Wood is so much in vogue right now that apart from furniture, watches, frames it has grabbed a spot in jewellery too. 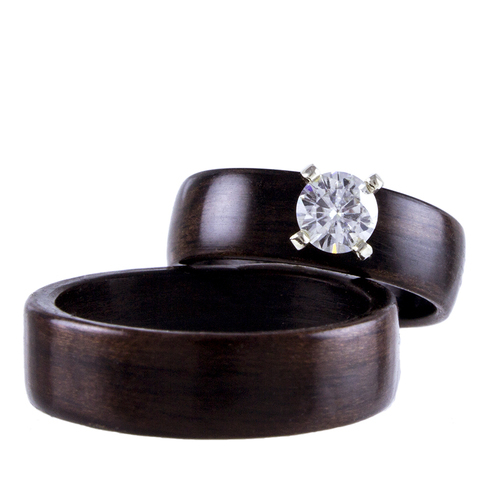 If you are looking for a wooden ring for your wedding or engagement or simply for regular use then Northwood Rings should definitely be looked upon. Founder by Allan Hill, Northwood would turn your dream wooden ring into reality. These rings are made using the bentwood technique and Alan himself crafts each and every ring. These rings which appear so different and wonderful are perfectly polished, created of multiple layers for great strength yet thin profile and are smooth with inlays of either crushed stone or shell. These amazing rings would make you stand out from the crowd and definitely give a wow feeling. These rings are made to suit your tailored size and if you want you could also design custom ring for any occasion. What more? Every Bentwood ring form Northwood comes with Care for life guarantee. They also have an option of exchanging the rings for new size. For those who have allergies to metal these are a perfect option. Northwood has some amazing collection of wooden rings and one could find many options in the various types of collection which includes luxury collection, men’s rings, natural collection, women’s rings, sand stone and shell and wooden inlays.